I recently took ownership of this supposed 1960s Seamaster. I was told that it's just been serviced and the crowns been replaced. The serial dates correct and so to the modal (165.002) as far as I understand. The case has very little wear. Particularily around the lugs where I would have thought the Spidel strap would have rubbed over the years? Could this be a new case? Good condition but just had a polish? The dial is an odd one too. Have the hour markings been soldered on? There is some strange discoloration around the hour markings which then has, what I'd describe as lightning looking, discoloration patterns going towards the centre. Is that caused by the heat of the soldering? If you need more pics just ask. Cheers. Doesn't look to bad from what I can tell. Haha. My phone doesn't like macro shots evidently. I suppose it's the lugs themselves which make me wonder if it's a replacement case. The edges look hard and I would have thought if it's from 1960 they'd be a bit rounded with wear? I have that same watch, from 1965. Is yours gold? Is the dial sunburst or vertical lines? "Solder marks", If you're referring to the marks at the outer edge of the indices, that is most likely the old lume plots. Hard to say 100% from the distortion of the pictures and crystal, but I bet that's it. It's doubtful that the watch was recased, perhaps just not worn much. And 002 is correct that the dots at the ends of the markers are lume. Thanks so much. I never even thought that they could be lume plots but that makes complete sense. The lume on the hands has worn to look like the lume plots at the outer edge of the indices which makes sense. The dials a bit worn but its sunburst and not lines. My understanding is that its gold filled. What band do you have on yours? I'd love to see it. Thanks very much. That's a big relief regarding the lume plots. These are the only pics I have at work. This is from when I first got it. 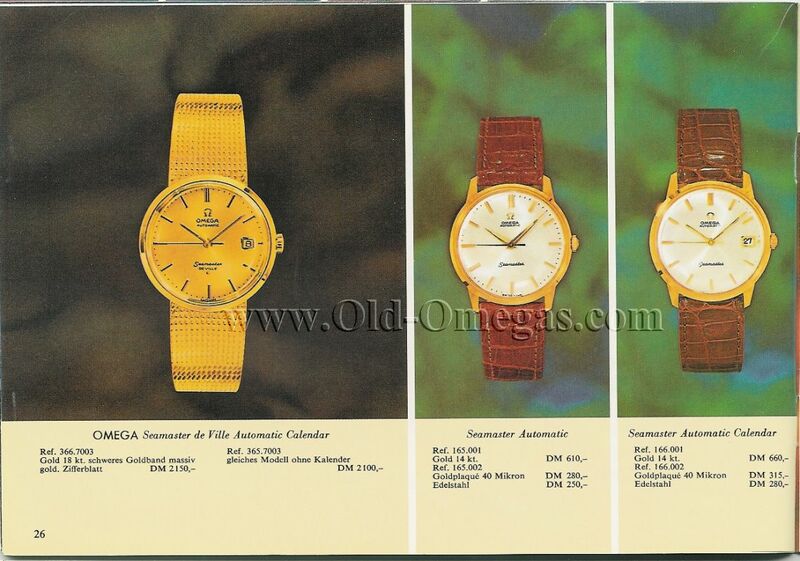 It has been serviced by Omega since then. Here with its brothers, wearing a beads of rice bracelet. Still looking for the correct end links. I haven't found too much information or interest in this reference. Please share anything you learn, end link #'s, original advertising/pictures, etc... I'm especially interested in which crown, crystal or bracelets came with these. It came to me with a low profile, flatter crystal. 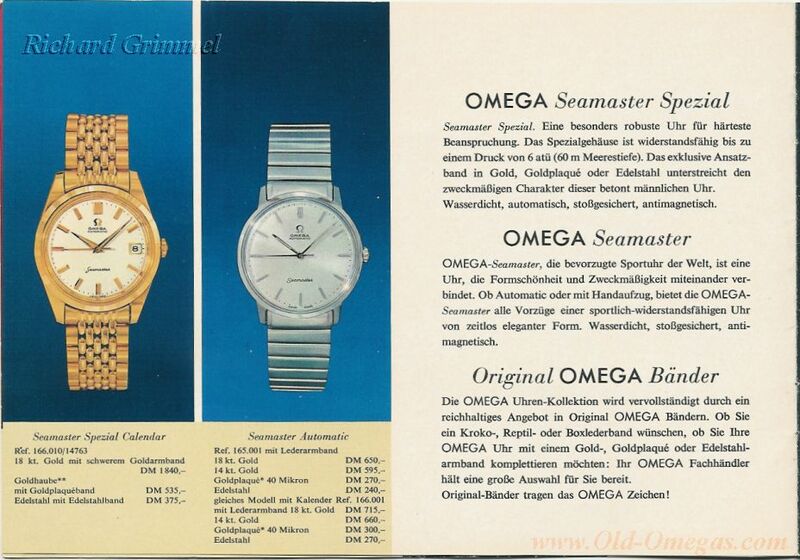 Not sure which crystal is historically correct, but prefer it to the taller rounder one that Omega replaced it with. I agree. Infos been difficult to find. Heres the crystal on mine if it helps (although I understand they are actually plastic).